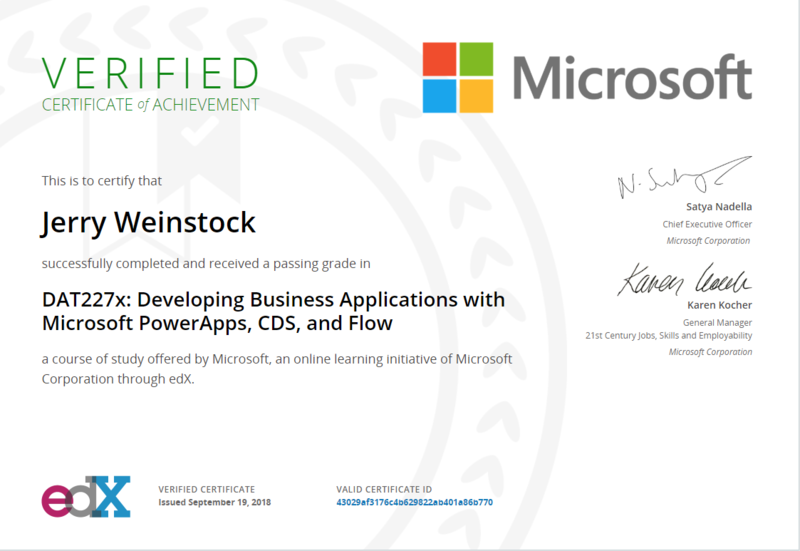 I recently completed the Developing Business Applications with Microsoft PowerApps, CDS, and Flow course at the Edx.org site. It was created by Microsoft with Shane Young, Microsoft MVP as the lead and primary instructor. Shane is a very personable individual and although the course is all pre-recorded, I often thought that he and I were in the same room and he was talking to just me. It is a pretty healthy investment in time that you will need to make to power through (no pun intended) the course. They suggest budgeting 4-8 hours per week over a 6 week period. My suggestion is to move along at a faster pace. Otherwise as you pick it up and set it down there will be some information lost between sessions. 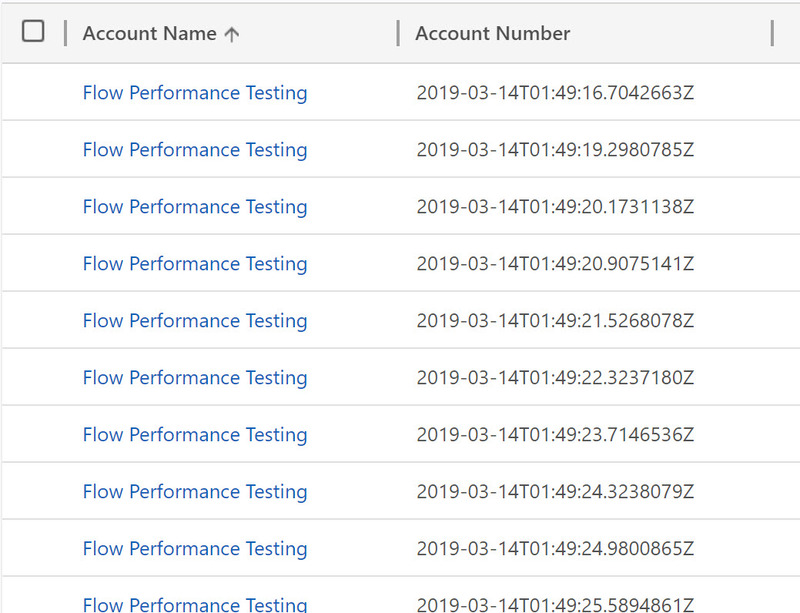 Why did I go through the course even though I often speak on Microsoft Flow and consider myself pretty skilled with that product? And also have a foundational level of skill with PowerApps. Everything I have learnt up to now has been self taught and through the school of hard knocks. So I wanted to see first hand what professional instruction on these two applications look like, discover what I might have missed and lastly get a nice shiny certificate. Now I can say I am certified! The course covers PowerApps: model and canvas based apps, CDS, Flow and using Flow and PowerApps together. As dear old mom used to tell me, “A Word to the Wise is Sufficient”. Here is my word – if you are working in the role of a CRM Functional Consultant or if you are a Developer that has been editing Site Maps or building out connections to CRM then you must learn this stuff. Taking this course is a great way to get a both a big picture view of the applications, build some real world apps and Flows. You will understand how the products work and be able to build your own apps and Flows. You won’t be able get out of it’s way going forward. 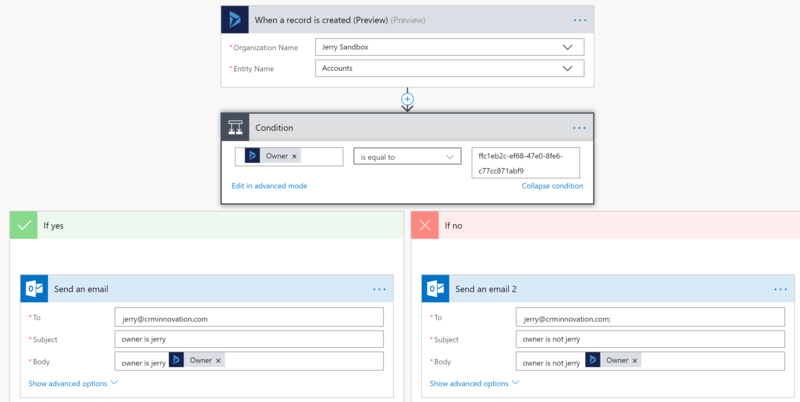 It will run you over starting this October with the next release of Dynamics 365. You can take the course for free or pay $99 to get the verified certificate. When you do the latter you have to answer test questions and submit the work that you have done in the course as you move from chapter to chapter. One gotcha that you need to watch for is the that final assignment is due no less than 2 weeks before the end of the course. If you miss the date, you can’t submit the final, peer reviewed, labs and it will cost you 20pts. And since you need 70% to pass that could be deal killer. And the EDX people are real jerks about the deadline, they don’t alert you at the beginning of the course and there are no reminders. They won’t make any concessions on this. But they definitely misguide you with a end of class date that is really two weeks away and is not the actual end. There are some hiccups in the course materials, once in a while it’s hard to find a file you need to upload and some of the labs have directions that are missing an instructional step. But you can get through it. Ping me if you need something. There is a community group out there that you can post to but it isn’t very well supported so don’t expect to see many responses. You can’t compare it to the training you get through the Dynamics Learning Portal, this is real stuff with labs and step by step instructional material.